Back in November I posted about a little glitch on a deal at Boots. The deal was: the 17 cosmetics range was on 3 for 2, therefore getting one product free. But then if you printed out a ‘Free 17 concealer with any purchase’ then you would get TWO items free! For the price of one. So this deal is on again, with a different freebie product. 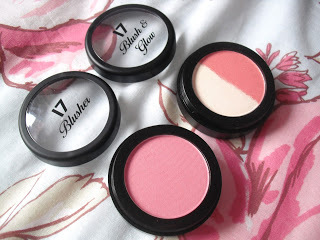 Carrying on from my previous post today on pastels, the voucher this time was ‘Free 17 Candy Collection Blush and Go Blusher with any 17 purchase’. You can get the voucher from the Boots Advantage Card Machines by selecting ‘My Offers’. The 17 cosmetics are again on 3 for 2, so you can chose 2 products, and you will pay for the most expensive one, then get the blusher and a cheaper product of your choice free. 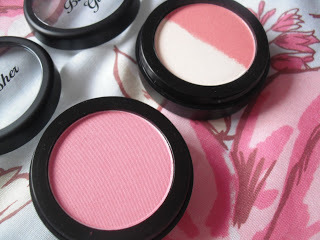 The Candy Collection blusher (Strawberry Swirl) retails for £3.99 so you’re getting a good freebie! 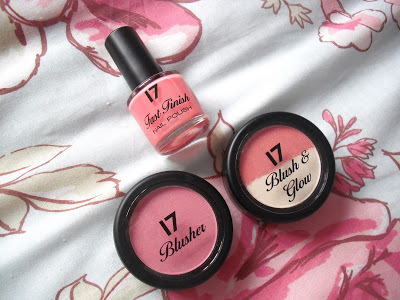 I chose a Fast Finish nail polish (Pink Lemonade, £2.99) and another blush powder (China Pink, £3.49). So overall I got all 3 products for £3.49! 🙂 Although I am an idiot and I already have the nail polish in that colour from the last deal so now I have two.. doh! This is a great deal! 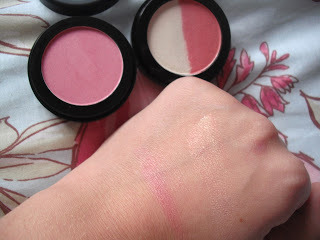 I am on a beauty spending ban this month though, so I shouldn't buy it…so tempted though!! Drat, I was in boots today, I NEVER think to check the advantage card machine for offers, hope its still on when I go in again I've been eyeing up that blusher for ages!